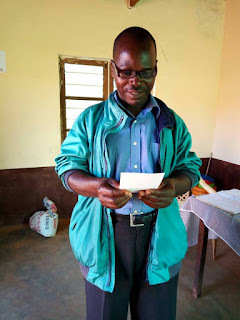 At Hanga Abbey our confreres Frater Buza, Frater Bonifas and Frater Albert are known to be our plumbers taking care of our home water systems and helping establish or repair water systems to villages here in Ruvuma region, southern Tanzania. However, recently, Frater Bonifas and Frater Albert learn an extra trade to serve people with vision problem and providing them with looking glasses. 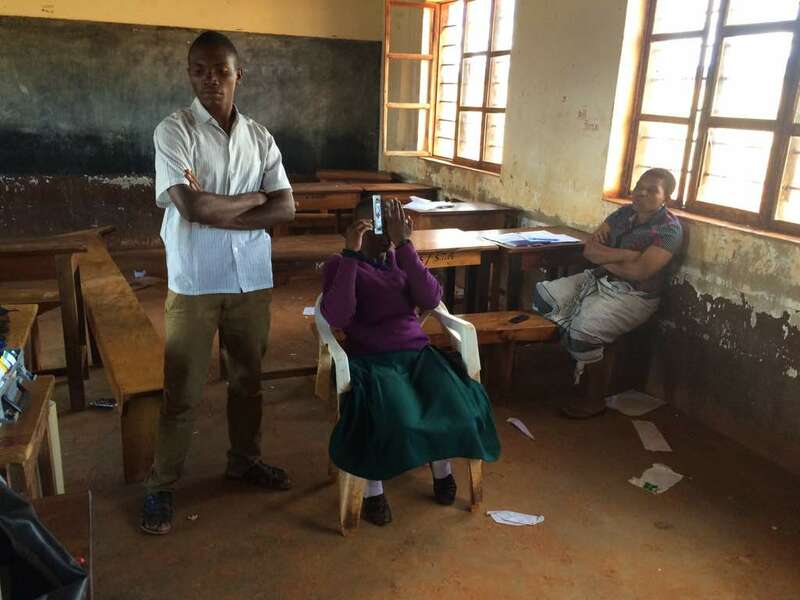 It began with Mr. Ken Wood from New Jersey, USA, who drills water wells in Tanzania with the two Brothers. 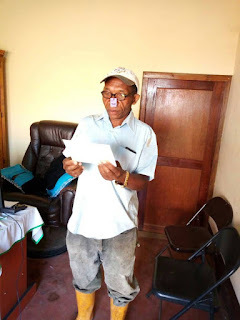 Ken learned the problem of the people with vision and decided to organize people in his home USA to donate spectacles. 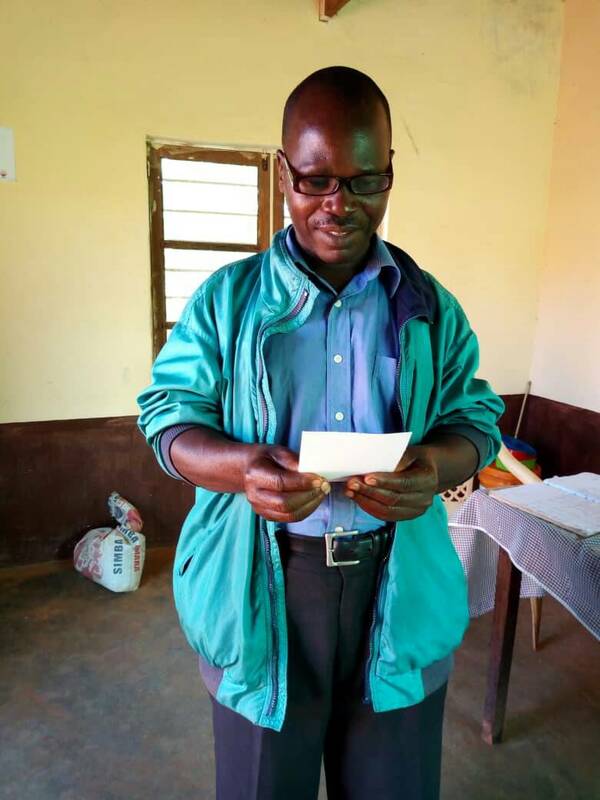 Mr. Ken comes twice of once a year to drill wells somewhere in Tanzania, including Songea area, and when he comes he brings his daughter Christine, an optometrist. 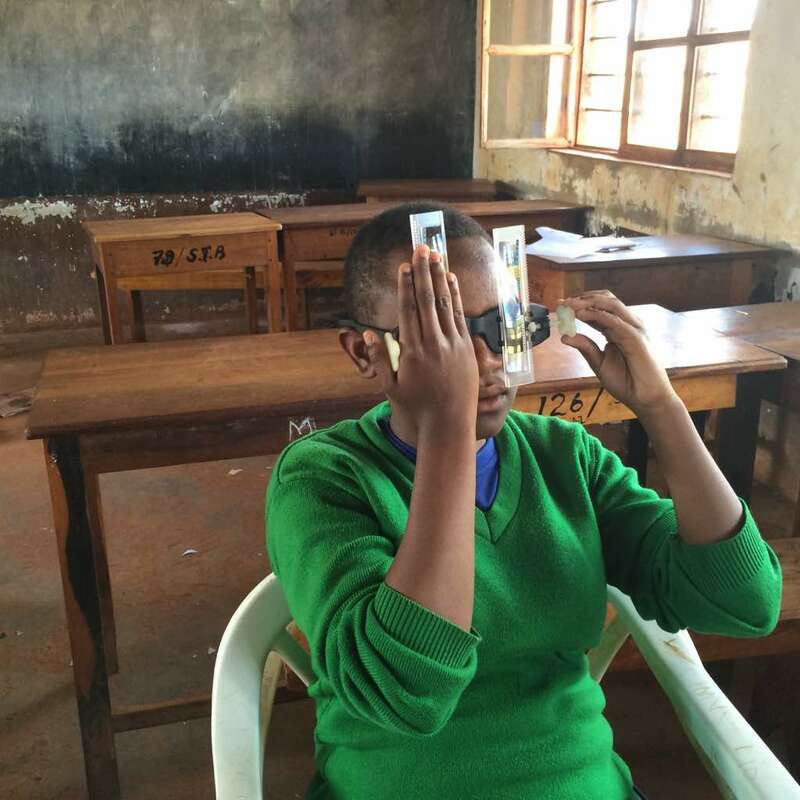 Christine brings with her simple eye problem diagnostic tool and distributes glasses. 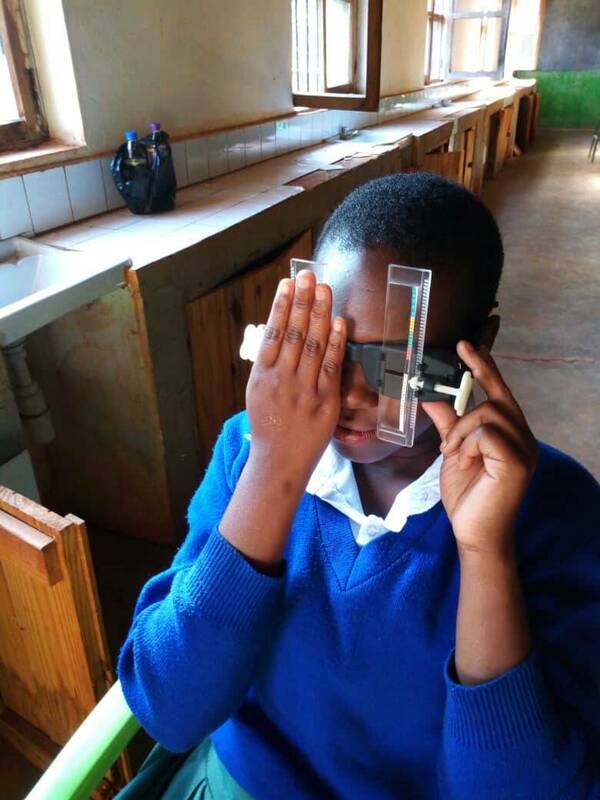 When she discovers other problems such as eye cataracts she refers them to the local doctors in Songea for surgeries or other treatment. All costs are covered by Mr. Ken and his friends from the US. 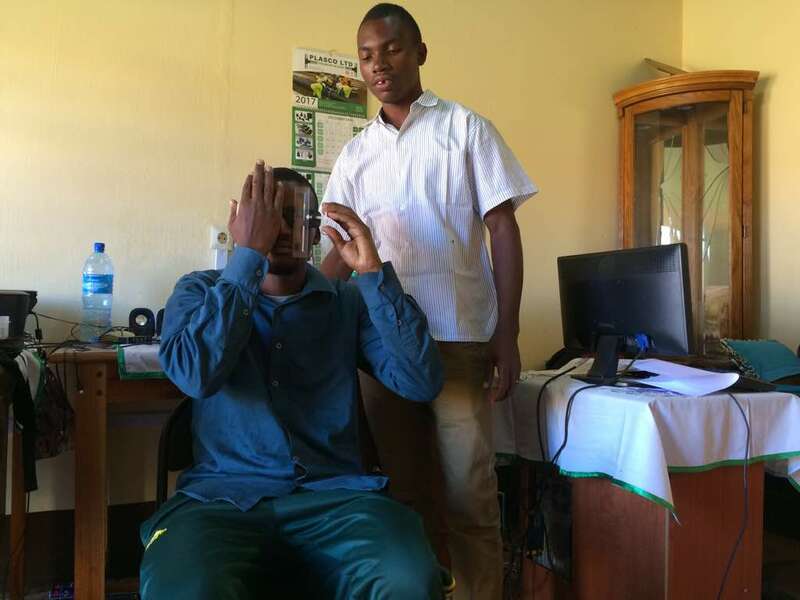 So this year, in May, 2018, Christine trained Frater Bonifas and Frater Albert of Hanga Abbey a simple diagnostic procedure to check peoples' vision and provide them with correcting eye glasses. One of their audiences has been Hanga monks and students. Indeed we thank Mr. Ken Wood and his daughter Christine for their grand idea to help people with vision problem. 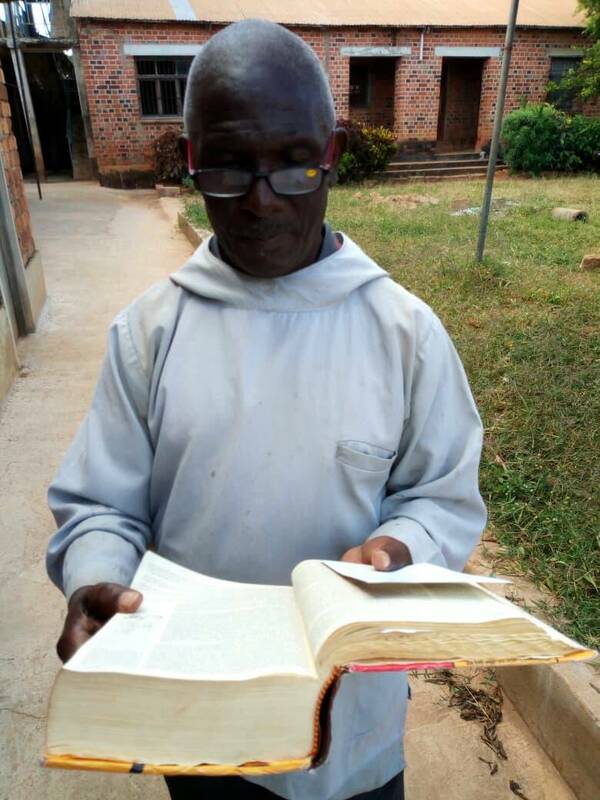 This report brings back memories of my days as a student at Hanga Seminary, 1963-66. There was a time when I had a bad tooth, one of the big teeth in the back of the mouth. Our rector, Fr. John Fratera Gama, put me on his motorcycle and drove me to the Hanga Monastery a few minutes away, and the monks removed the tooth, affording me much needed relief. With much gratitude, I wish Hanga Abbey all the best. Very helpful Post. For any kind of information about medical thermometre visit my blog .